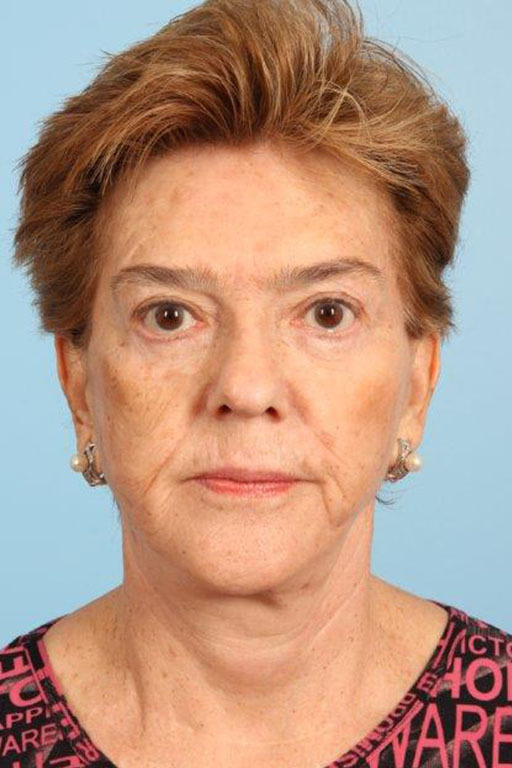 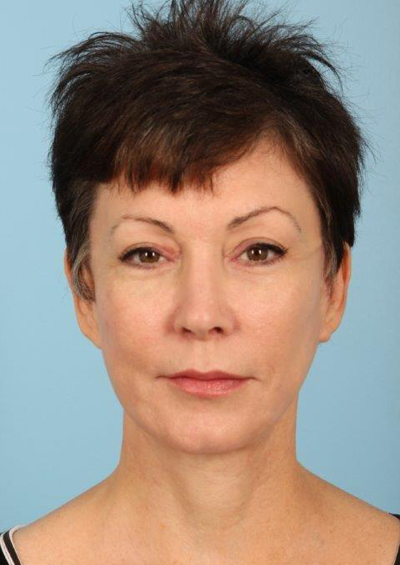 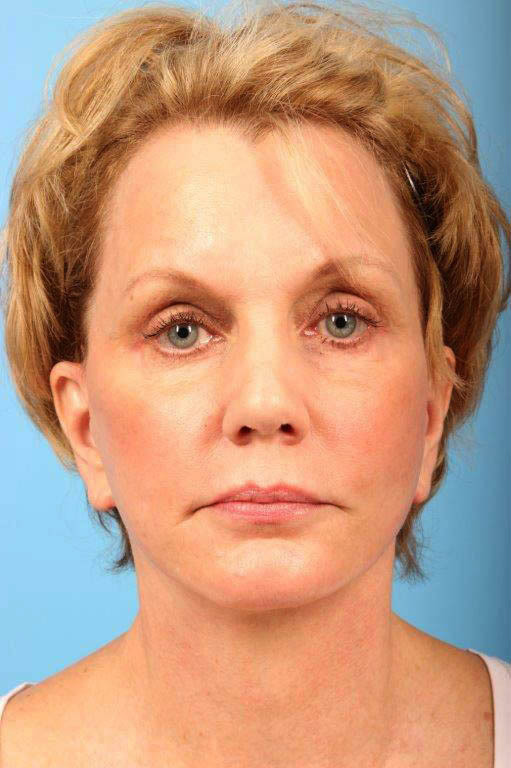 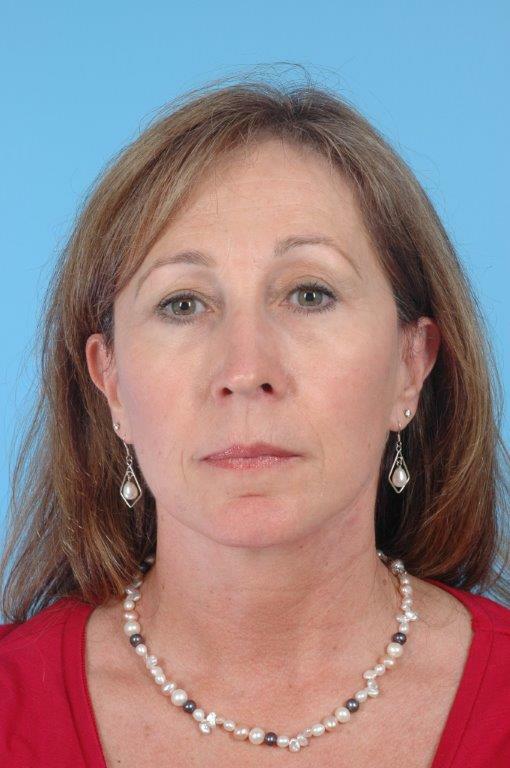 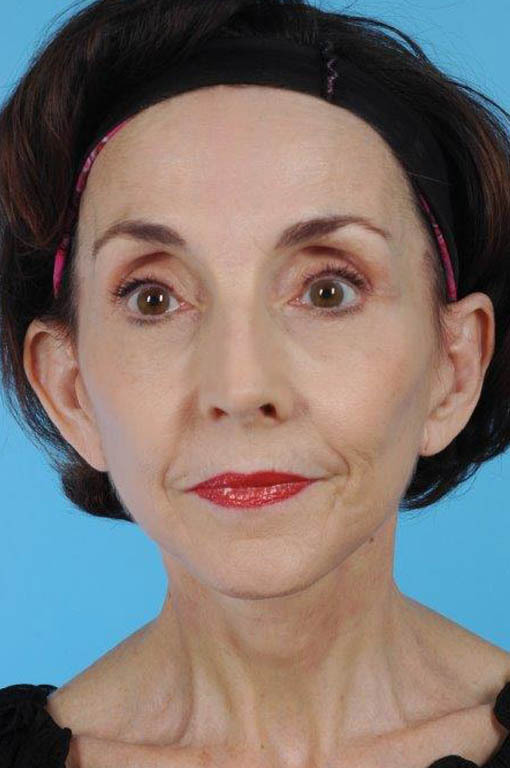 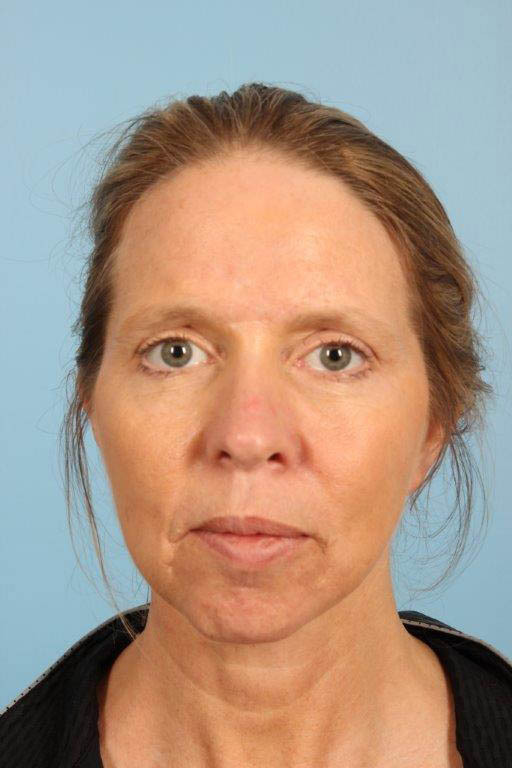 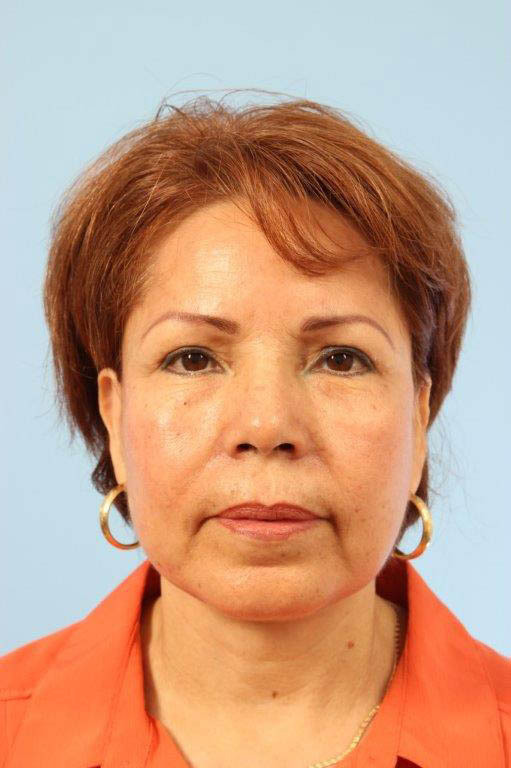 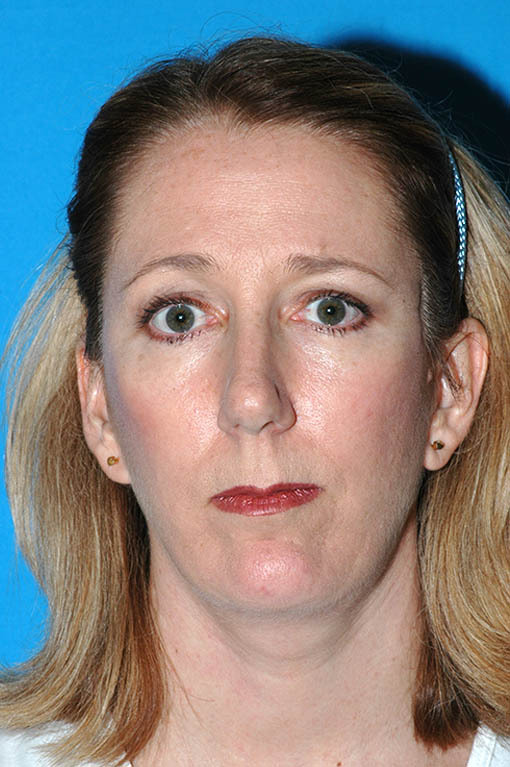 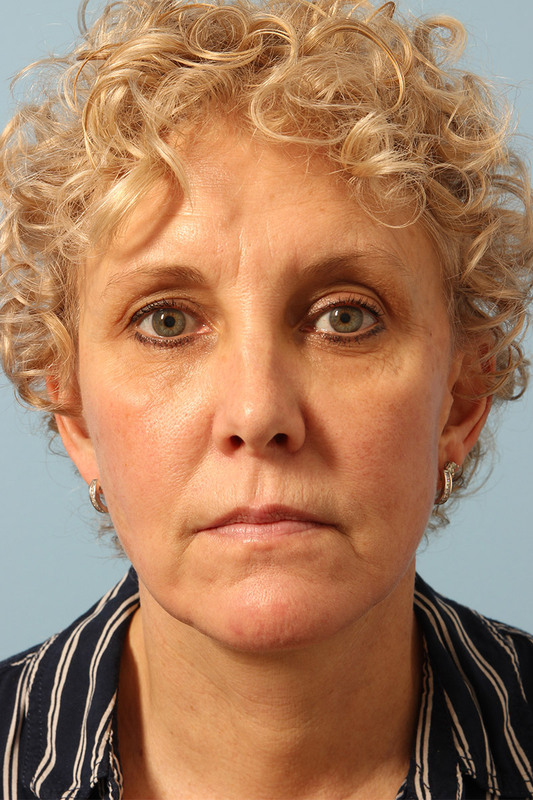 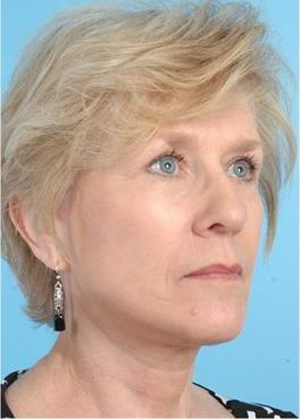 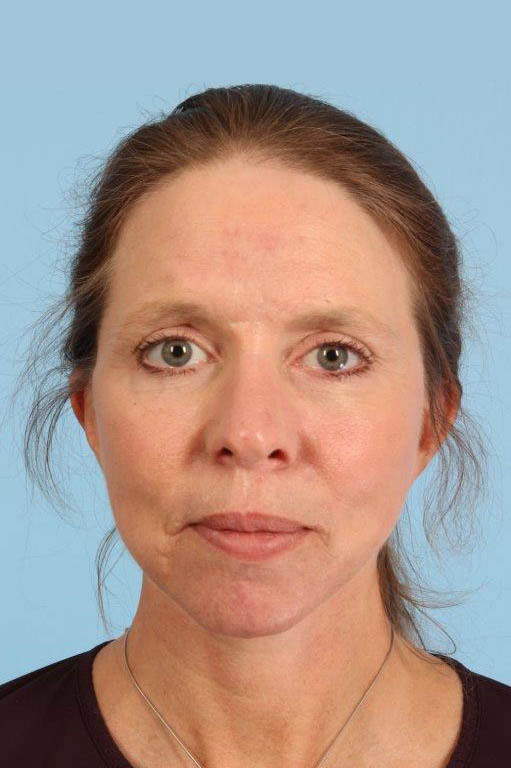 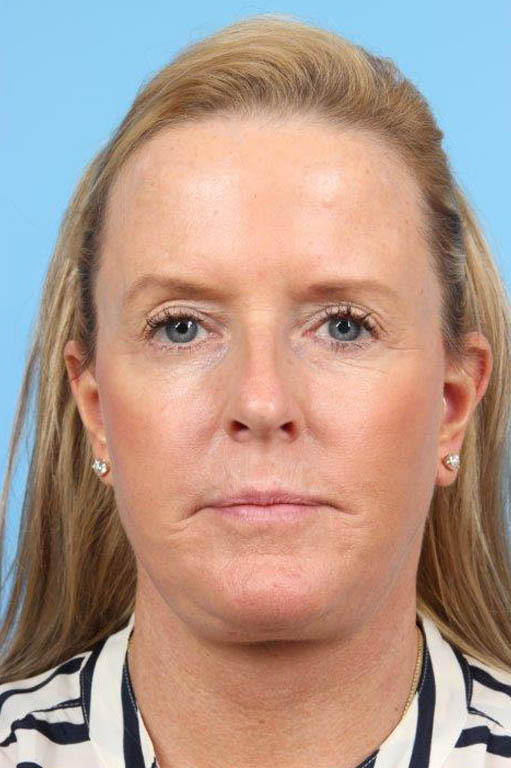 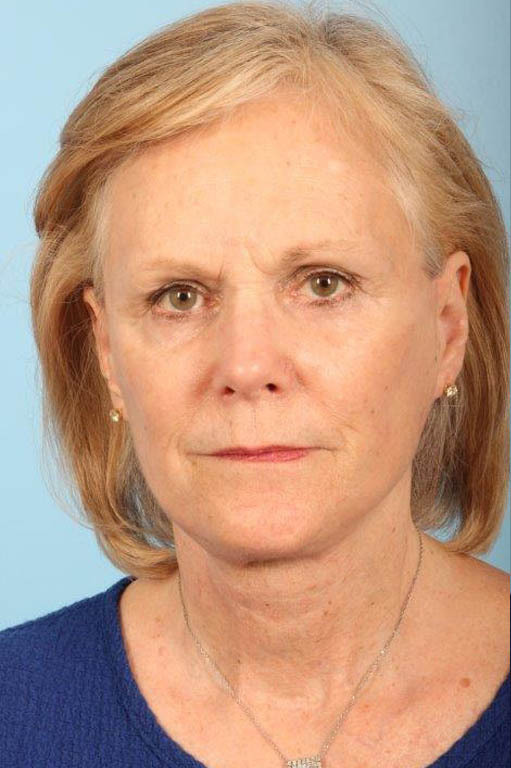 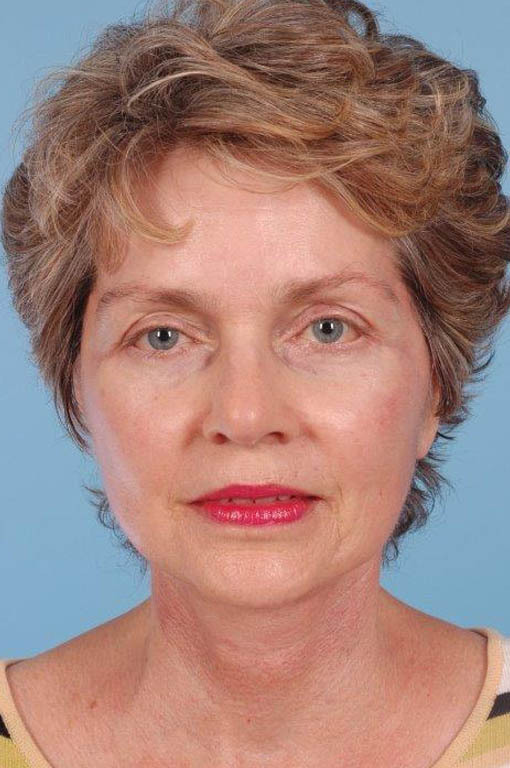 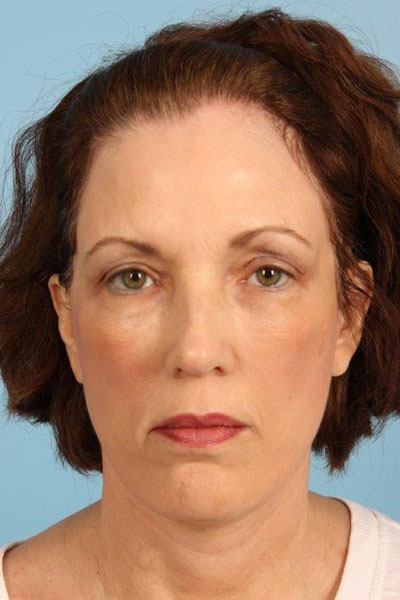 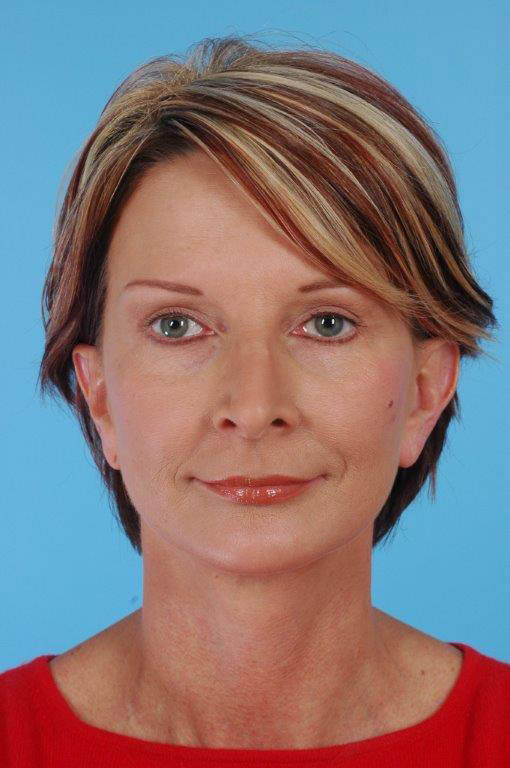 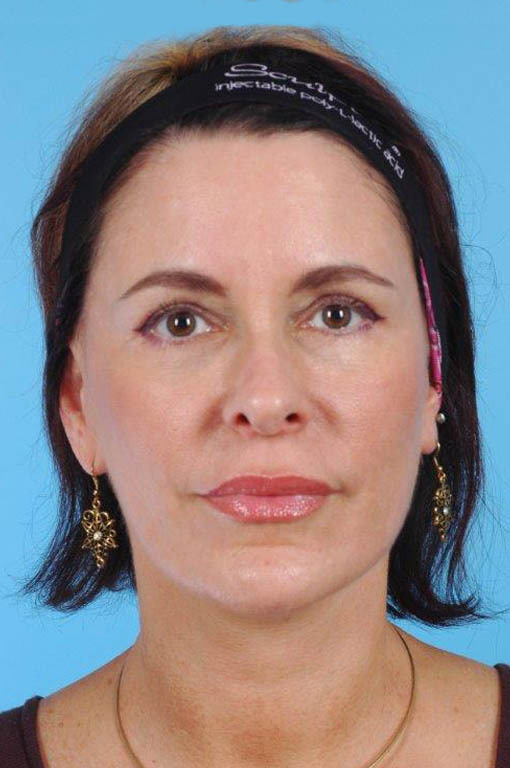 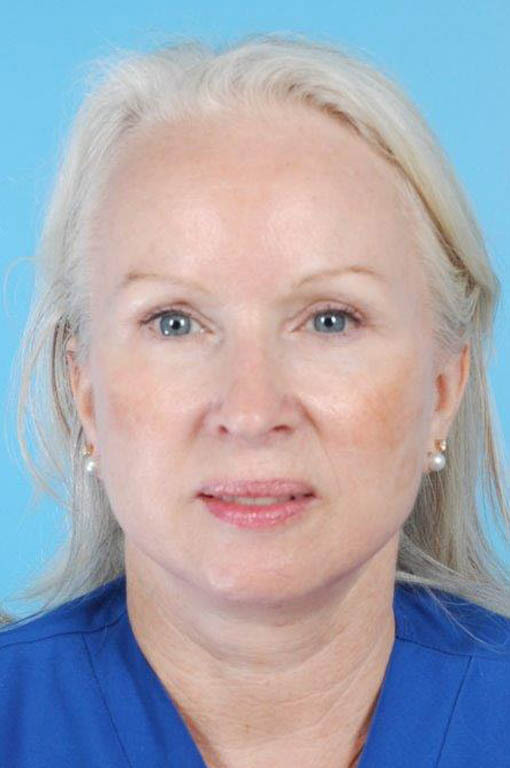 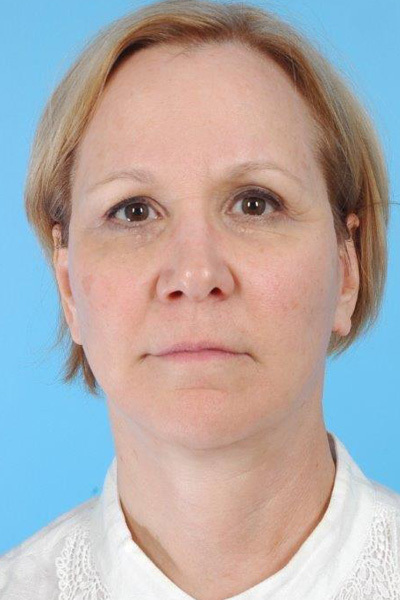 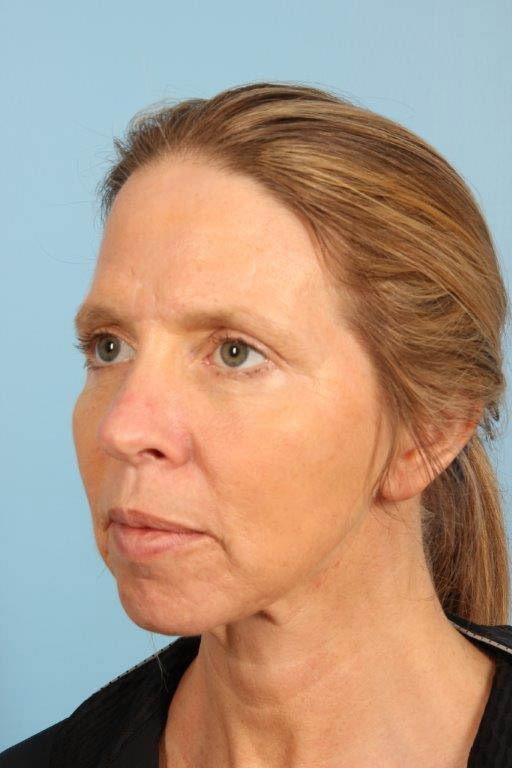 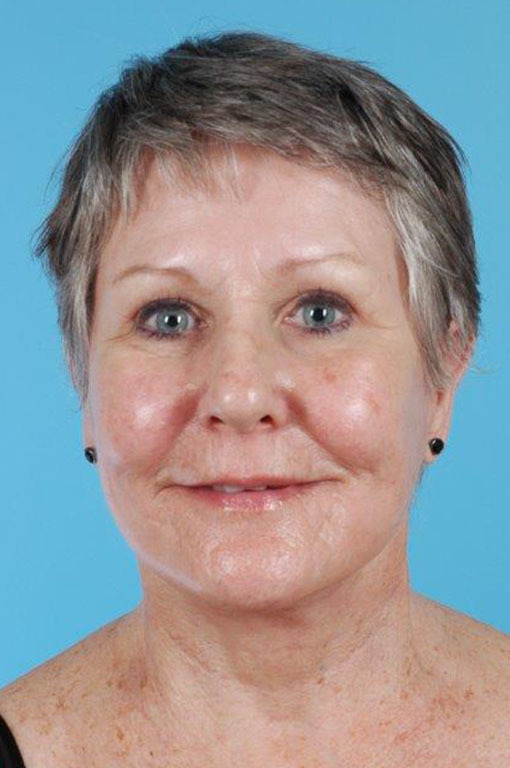 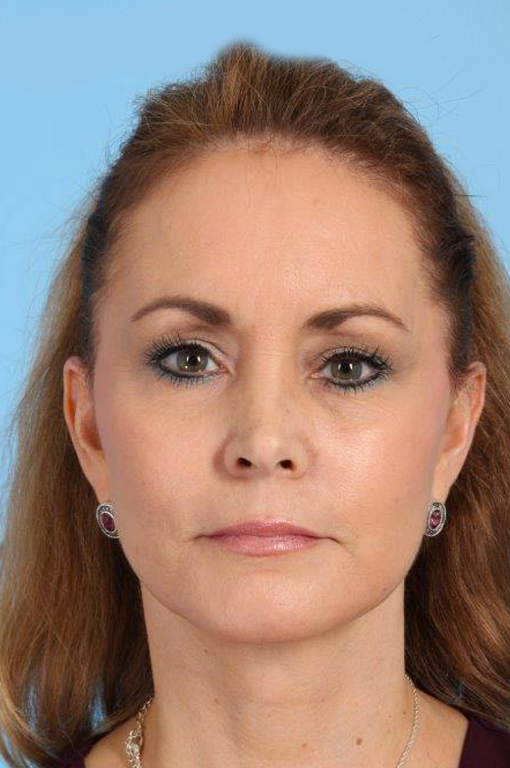 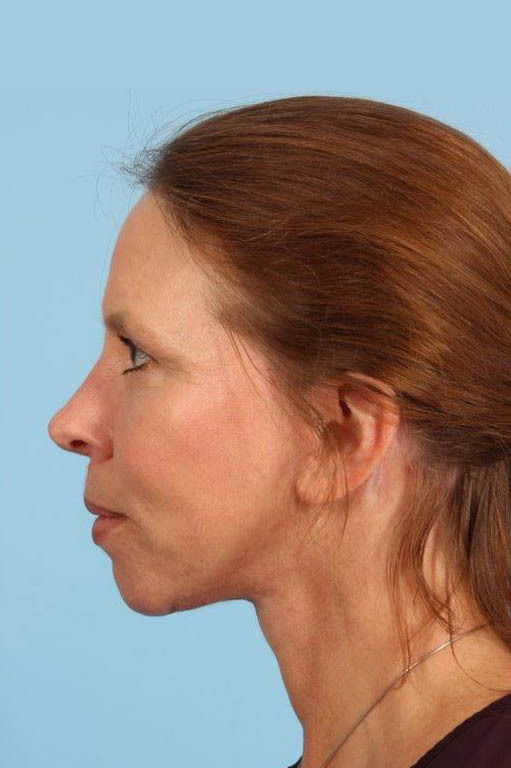 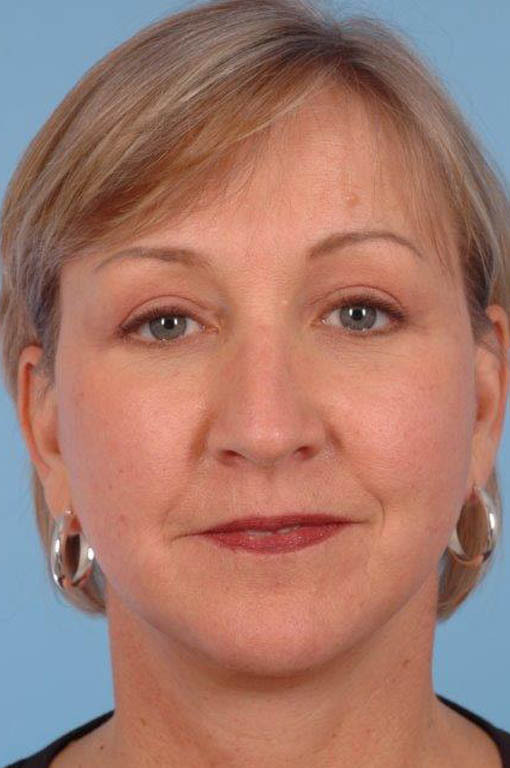 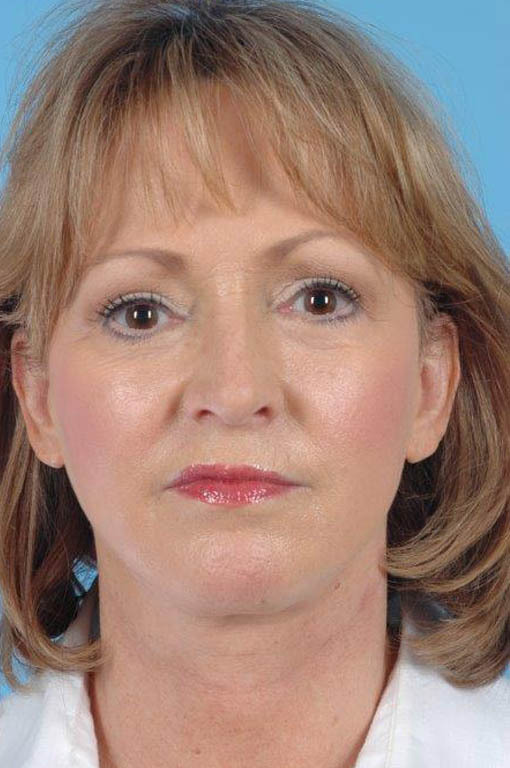 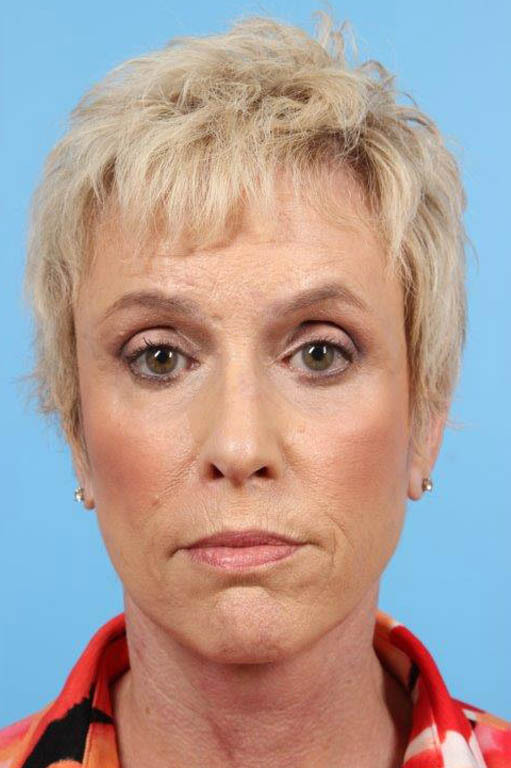 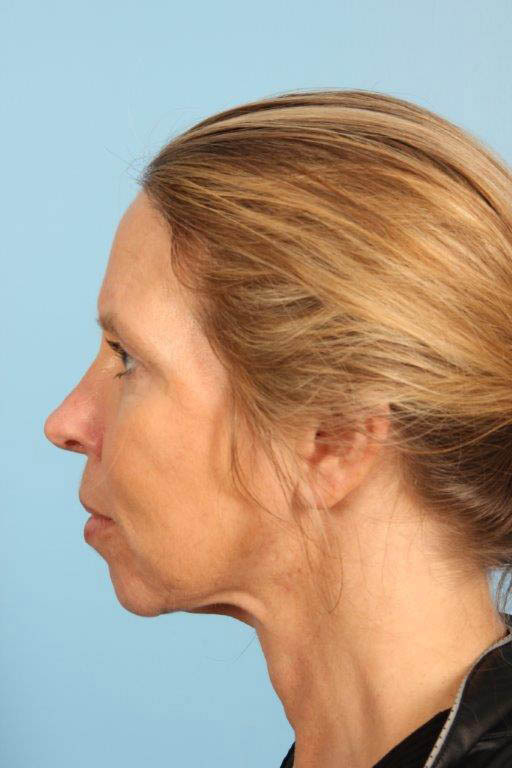 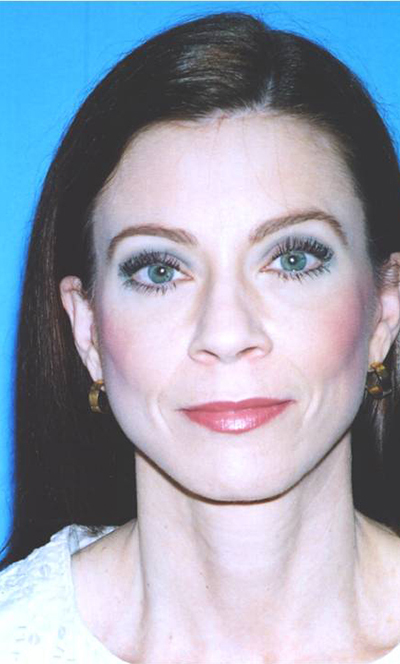 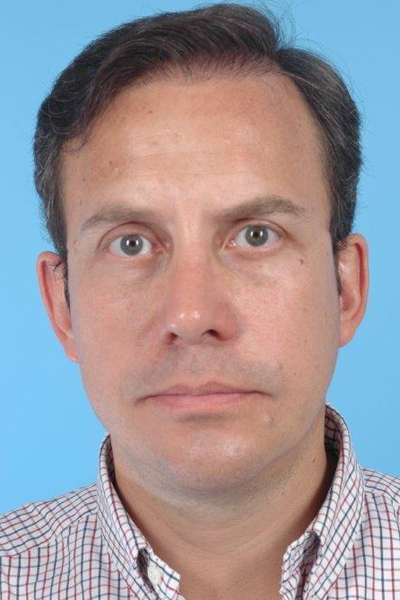 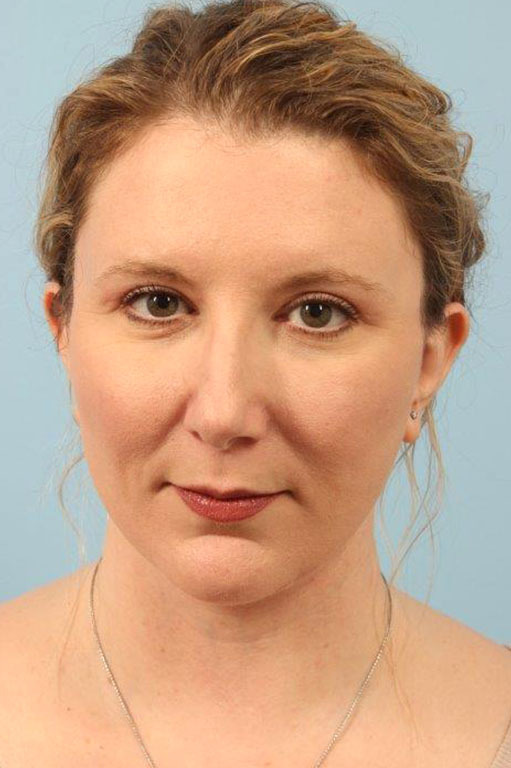 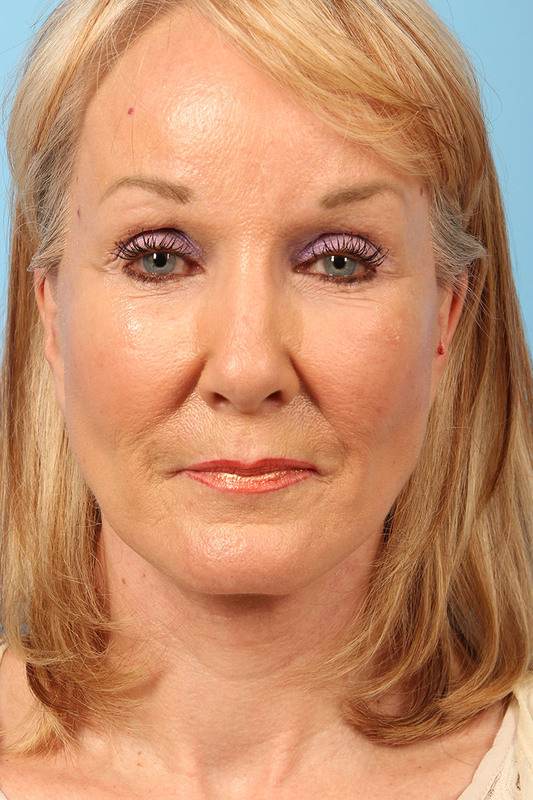 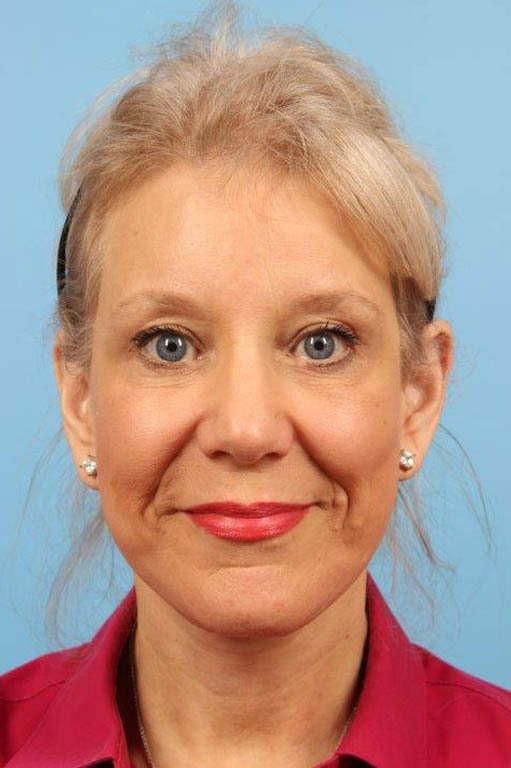 A 46 year old woman before and after Limited Incision Cheek and Neck Lift with Platysmaplasy and CO2 Laser to Forehead and Periocular by Andrew T. Lyos M.D., FACS. 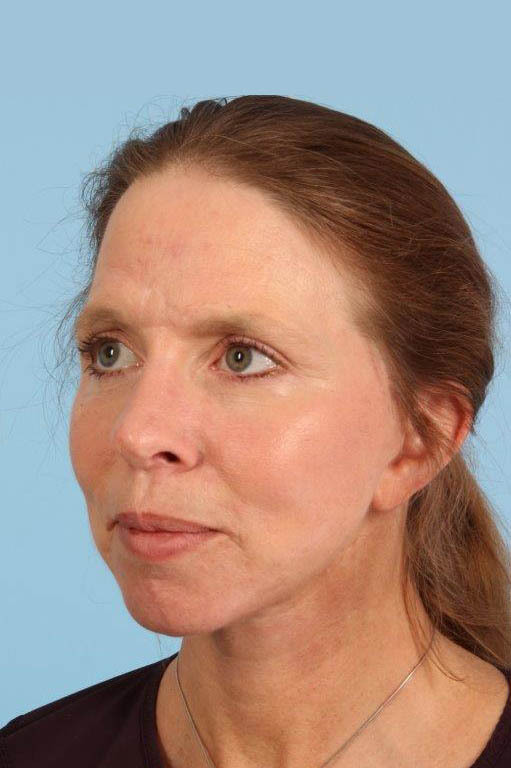 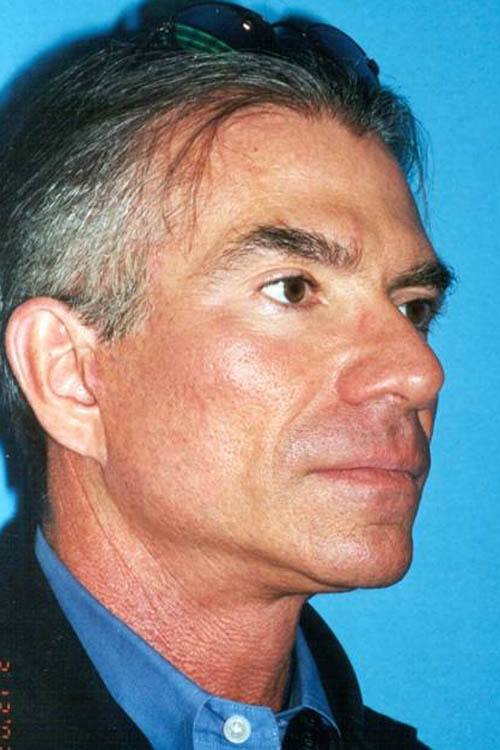 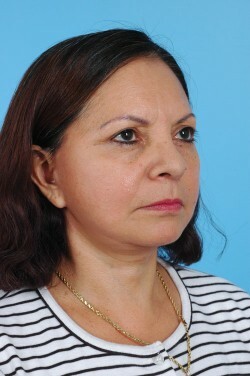 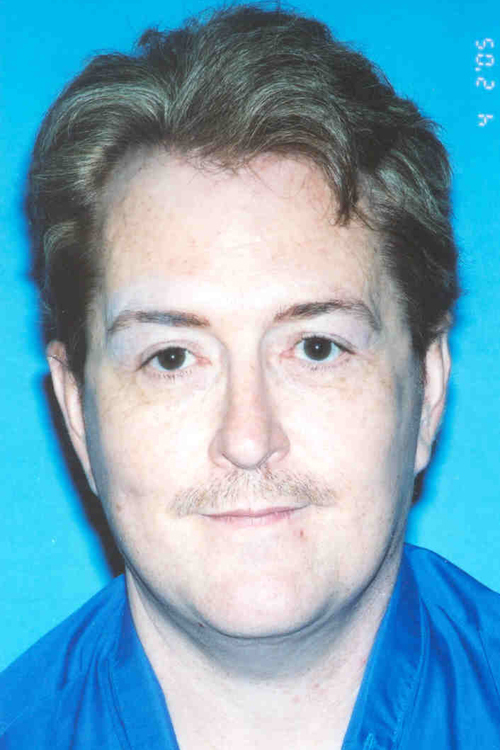 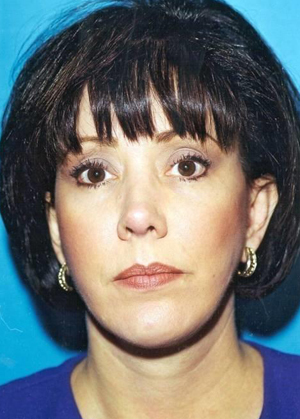 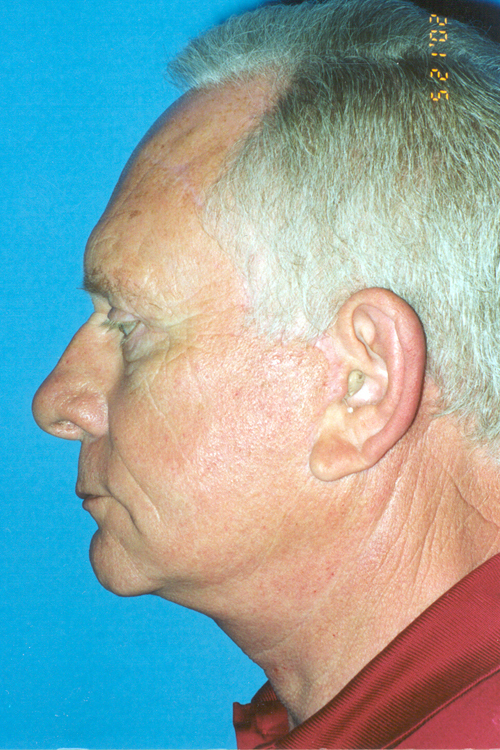 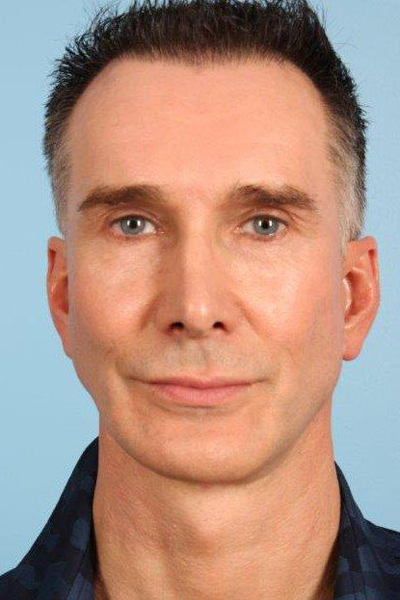 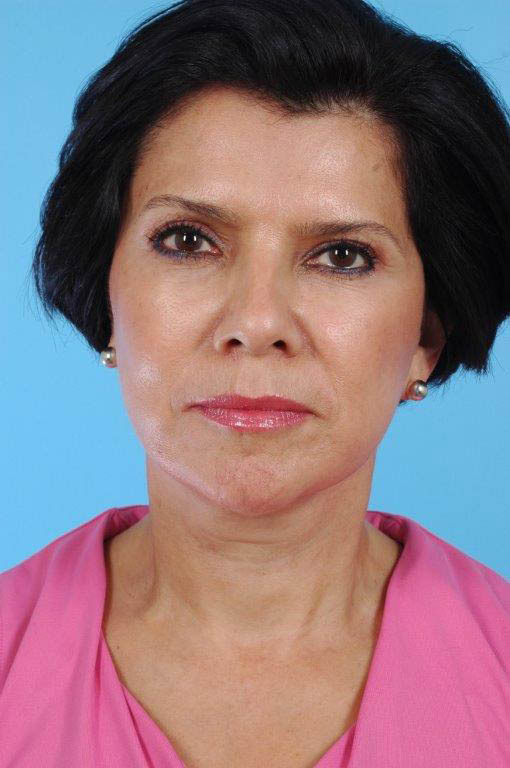 She had a history of facial trauma and previously done liposuction of the neck with platysmaplasty before this. 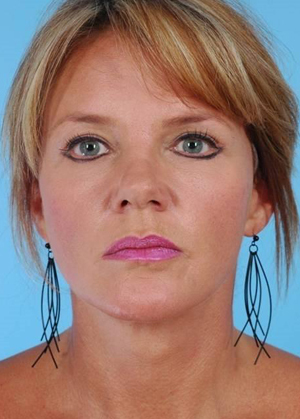 She wanted to improve her face and was most bothered by the excess skin in her neck.